Highlights Include: 5 Star and heritage accommodation, daily breakfast, Old Delhi Heritage & Food walking tour, private city guides, chauffer transfers in Toyota Innova (6 seater SUV), 4 day safari package including 4 jeep safaris + accommodation at Khem Villas and more..
Meet and greet at airport. Transfer to hotel. After breakfast, we depart for Old Delhi Heritage and Food Walking Tour, as seen in Sydney Morning Herald. We go up the 360 year old steps of the majestic JamaMasjid, India’s 2nd largest Mosque and one of the finest examples of mosque architecture in the world. Be it the filling samosa, crispy kachori or the hot halwas, its all in a day’s fun. We`ll also drive past President’s House, Parliament House, Government Secretariat buildings and Connaught Place. Morning visit to the Qutub Minar. Later visit the Crafts Museum with the rest of the day on your own. Depart for Ranthambhore National ParkThe Ranthambhore National Park stretches across an area of 1,334 sqkm on the eastern edge of the Thar Desert. Once the hunting grounds of the erstwhile ruling family of Jaipur, today it is one of the last sanctuaries of the big cat, the Royal Bengal Tiger. Ranthambhore is the favourite haunt of wildlife buffs and professional wildlife photographers from around the world who come to see tigers, panthers, wild cats, hyena, jackal, marsh crocodile, wild boar, bears, many species of deer and a rich bird life of over 300 species, including the great Indian horned owl. Early morning jeep safari followed by breakfast. Before afternoon safari, visit Dhonk –Craft for Conservation, a unique initiative supporting tiger conservation and the local tribe –The Moghya’s. Early morning jeep safarifollowed by breakfast.Free time till afternoon safari. Morning breakfast and depart for Jaipur. Overnight at the luxurious Samode Haveli. After breakfast we leave for the spectacular Amber Fort, a magnificent fortress protecting, in turn, a complex of palaces, temples and exquisite marble & mirror-inlaid halls and apartments. Afternoon tour of Jaipur -We`ll visit the old city, the Maharaja`s City Palace as well as the Observatory. Then we`ll take a short drive through the residential and business districts and we`ll stop to photograph the Hawa Mahal (Palace of the Winds) along the way. All meals during your stay in Ranthambhore. 4 Jungle safaris in Ranthambhore. Private guides in Delhi, Agra and Jaipur. 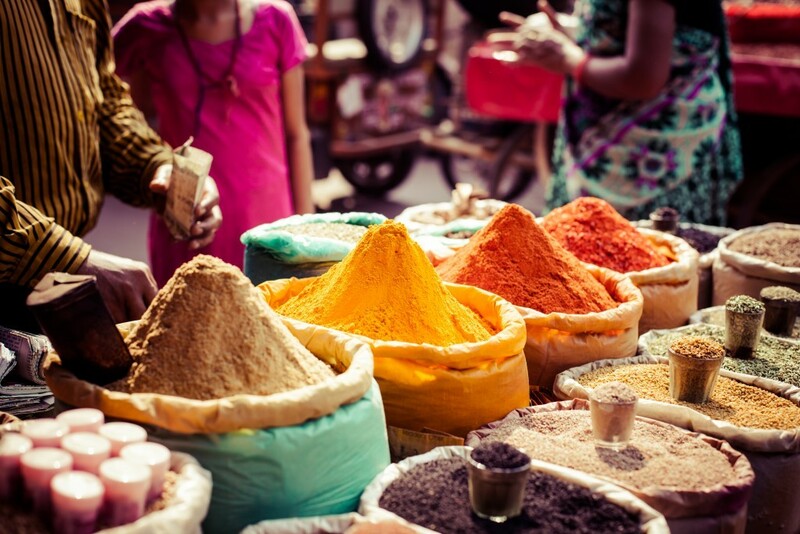 Exclusive Guided Heritage Walking Food Tour through Old Delhi.